Sarpa Salpa are back at the Roadmender on Easter Sunday for a special hometown show. This year has already seen the band play a special show for Steve Lamacq as part of Independent Venue Week at Esquires in Bedford, with the DJ playing their single Casanova on his daytime show on BBC Radio 6 Music as well as airing an interview with Sarpa frontman Marcus Marooth. Casanova was also picked as BBC Introducing Single of the Week in March, picking up national daytime play across the radio station on every show. The accompanying video for Casanova sees the four piece each play different characters and was shot and directed by legendary NME photographer Andy Willsher which. Support is by Alfie Templeman, Among The Citizens, and Jeana. Templeman released his debut single last year via Chess Club Records. His sound draws a direct line from bedroom indie heroes across the pond like Homeshake, Steve Lacy and lo-fi godfather Mac DeMarco. 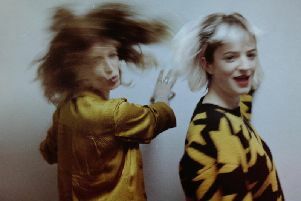 Among The Citizens have previously shared stages with the likes of Eliza and The Bear, The Scruff and Blushes and received radio support from BBC Radio 6 Music, BBC Introducing and Amazing Radio. Opening will be Jeana who has spent the last few months working with producer Gingersnaps and recently released the single The Feelin. Doors open at 7pm, tickets cost £6 in advance before fees.